The Obama administration launched a fresh $120-million research project Friday, aimed at developing cheaper batteries for electric vehicles. The Energy Department will dole out the money over five years to establish a research hub for batteries and energy storage, backed by five national laboratories, five Midwestern universities and four private firms. The four companies joining the project are Dow Chemical Co, Applied Materials Inc, Johnson Controls Inc and Clean Energy Trust. 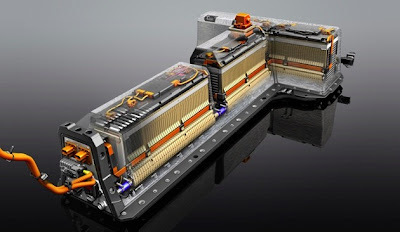 During the Obama administration's first term, jump-starting advanced battery manufacturing was a major national initiative, which saw the Energy Department plow $2 billion of grants into 29 battery makers to build or update plants. But the industry was hobbled by overcapacity, limp demand for electric vehicles and high-profile bankruptcies, including the collapse of government-backed battery maker A123. Still, the government defended its efforts, saying that despite some failures, most of its investments were successful and helped double renewable-energy output from wind and solar. "Not every company succeeds," Energy Secretary Steven Chu said at a news conference Friday announcing the new project. "Never should the United States say because one company didn't succeed as much as others, we should get out of the game." Led by the Argonne National Laboratory near Chicago, the new research hub will combine several independent research programs into a single coordinated effort "to push the limits on battery advances," the department said. Besides working on batteries for electric vehicles, the project will also tackle energy storage for the electric grid, officials said.